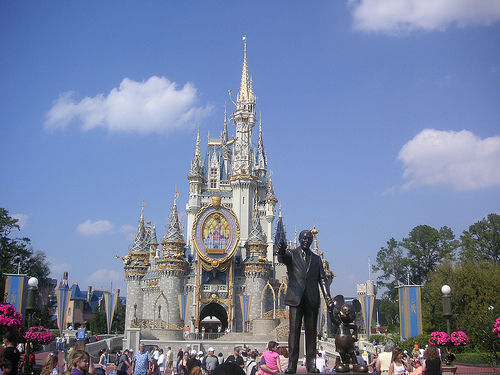 Travel Costs > How Much Does a Disney Annual Pass Cost? How Much Does a Disney Annual Pass Cost? A Disneyland annual pass allows the holder and their family to go to Disney anytime they want to in the calendar year, but this isn’t always the case as some passes do have blackout dates. The costs for annual passes depend on the location (Disneyland or Disney World) and the type of pass you want to sign up for. On average, passes can range anywhere from $125 for just the waterpark pass at Disney World to as much as $1,049 for a Signature Plus pass at Disneyland. Refer to our to chart below to see what the annual costs of each membership. NOTE: Prices as of June 2017. Refer to official Disney page for more information and pricing. To purchase an annual pass, you can either call (407) W-DISNEY or you can do so by going online. Once purchased, you will be given a confirmation number via email that you will have to take to the front Guest Services office to redeem for your pass. During this time, you will be asked to take your fingerprint to prevent sharing and show your ID to collect your pass. Every time you use your pass at the gate, you will be asked to scan your index finger and show your pass for entry. If the scan, for whatever reason, fails, then you will need to show your ID. The annual pass, once activated, will expire 366 days from that day. Each package, depending on the one you choose, will have different inclusions. Disney World, as of 2017, includes the Platinum Plus, Platinum, Gold, Silver, Weekday, After Four, Water Parks, Water Parks After 2 and Premiere Annual. The Platinum Plus, available to everyone and being the most expensive option, will include everything: one-year admission, standard parking, a complimentary MagicBand, special discounts, PhotoPass downloads, admission to Disney’s Oak Trail Golf Course, the ESPN Wide World of Sports Complex and the water parks. The other tiers, the Platinum, Gold, Silver, Weekday and After Four won’t include admission to Disney’s Oak Trail Golf Course, the ESPN Wide World of Sports Complex and the water parks. The Gold, Silver, Weekday and After Four pass is only available to Florida residents. The After Four, as the name implies, will only entitle guests admission after four p.m. The water parks pass allows guests admission to the water parks only. Disneyland, on the other hand, offers three popular passes on its website: Deluxe, Signature and Signature Plus. The Signature Plus, being the most expensive option, offers no blackout dates, admission to both parks, parking, discounts and pass holder events. The Signature will have certain blackout dates, usually on holidays, but other than that, it will have the same inclusions as the Signature Plus. Lastly, the Disney Deluxe, the cheapest package available, will also have blackout dates, no parking and cheaper discounts. Discounts, on both passes, will include exclusive merchandise, restaurant and hotel discounts. If you were to lose your annual pass, you could get a new one at the gate for $20 each. To see the official Disney blackout dates, refer to this official calendar. The theme park does allow you to spread your payments over 12 months with its official payment plan. Florida residents, according to our research, will receive a discount up to 15 percent off. Annual pass holders can save at participating hotels, often as much as 40 percent off your stay. As long as you plan on going to the park at least 11 times while your pass is active, it will be worth it. However, if you don’t plan on going this many times, then it may be wise to purchase a park hopper pass or day pass. Discounted annual passes are available at select AAA offices in Orlando. Disney Vacation Club members can save money as well.